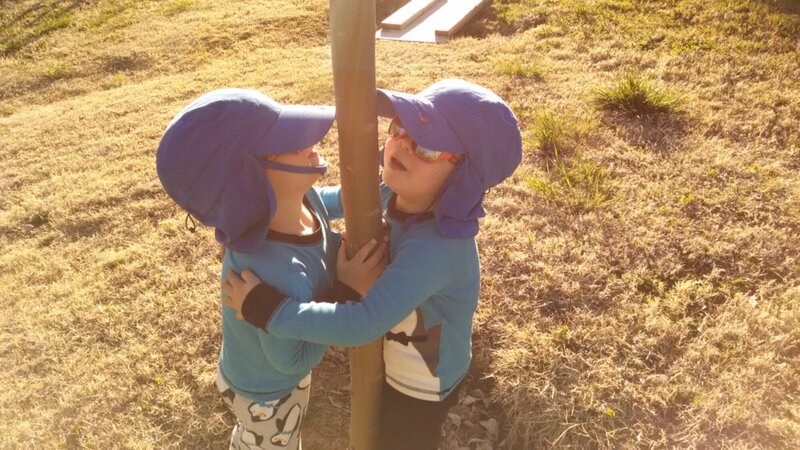 As you might expect, a couple of 2 year old toddler boys do funny stuff ALL the time. Above is an animation of Ashton touching Dylan’s tongue when he sticks it out, which they both found to be superbly hilarious. Ashton is obsessed with cookies and calls out for a cookie whenever he’s hungry or if he thinks that one might be nearby. The funny thing is that instead of saying cook-ie, he pronounces it as “coo-kah” and says it over and over (and over) again. Coo-kah, coo-kah, coo-kah! It’s hilarious and adorable. He knows that they come from the pantry, so he’ll often point to the pantry or go to the pantry door and ask for a coo-kah repeatedly. Dylan is still an eyelash lover. He constantly touches his eyelashes, especially when he is upset or tired. But it doesn’t have to be one of those situations, he just loves touching them constantly. It’s definitely a comfort thing for him. He also loves his sleep sheep stuffed animal, which has recently surpassed the meerkat and Elmo in popularity for him. Dylan LOVES ducks and birds. Dylan does a squinty smile and lays his head on my knee. 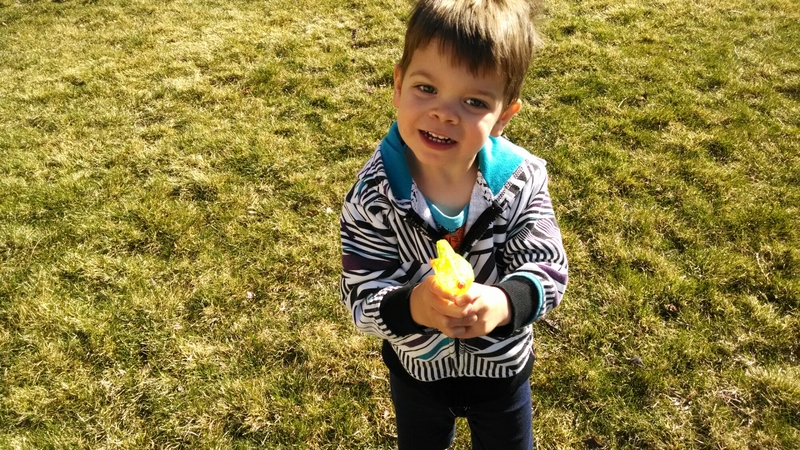 Toddler soccer is like a chaotic fire drill. Kids are running every which way, grabbing the ball with their hands, bonking heads, kicking the ball in their own goal, too many players on the field due to kids refusing to sit out, and all sorts of other mayhem. Dylan and Ashton seemed to have a good time, and if nothing else, it’s a good opportunity for them to socialize and interact with other chitlins. Lots of practice ahead! Viva futball! 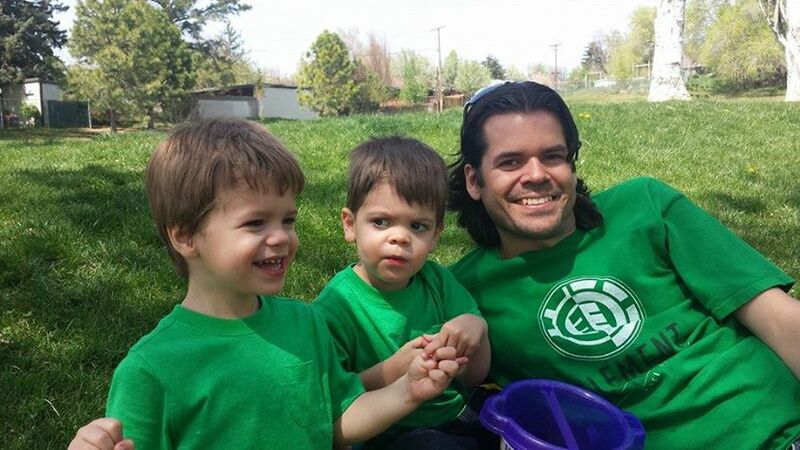 Posted on April 23, 2015 April 23, 2015 Categories randomLeave a comment on Ashton and Dylan’s 1st day of Soccer! Google+ uses its nifty “auto-awesome” photo and video enhancement features to automagically produce a “Year in Photos” video for users. 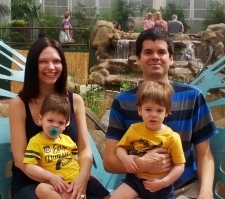 Below is the resulting 2014 Year in Photos video for us, which turned out pretty dang good for an auto-generated video! Of course, if I would have hand-picked all of the 2014 photos going into this, I would’ve selected some different ones, but considering that I had to do zero work on this whatsoever, Google does a great job. 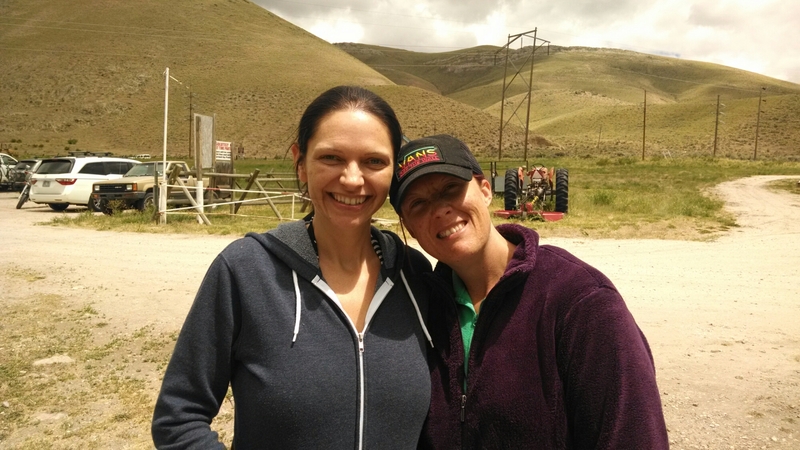 Tera and Ashton on the historic Heber Valley railroad. 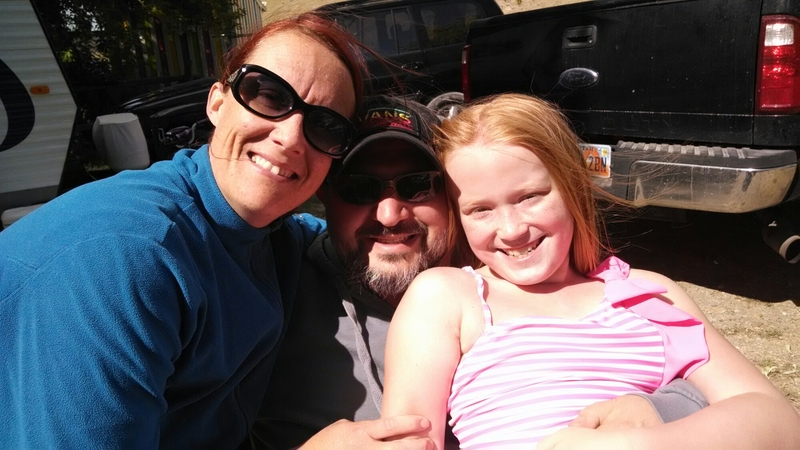 We had a great time on a little weekend getaway up in the mountains, visiting Heber, riding the railroad, and staying in Midway. 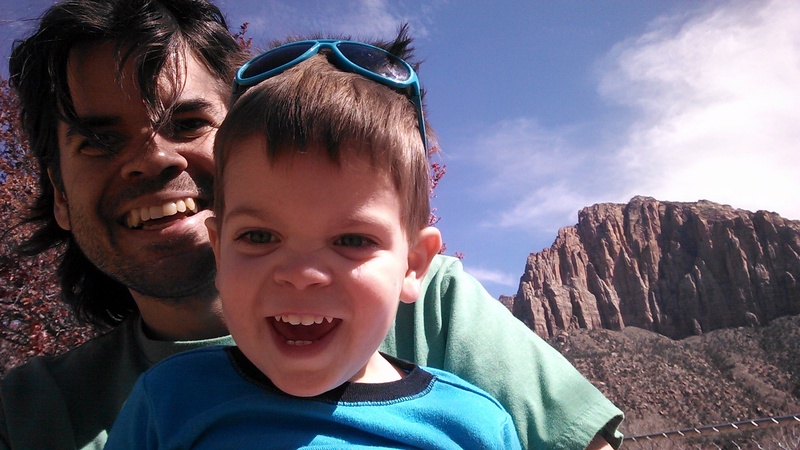 Wes and Ashton in Springdale, on our weekend trip to Zion National Park. 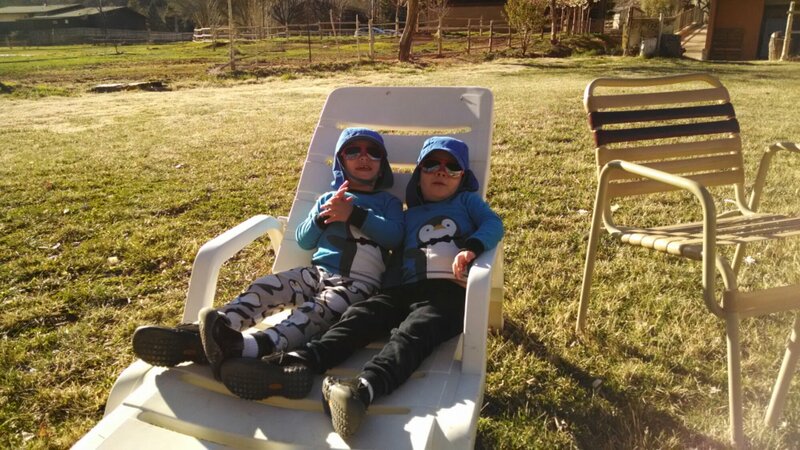 Dylan and Ashton, lounging in Springdale. 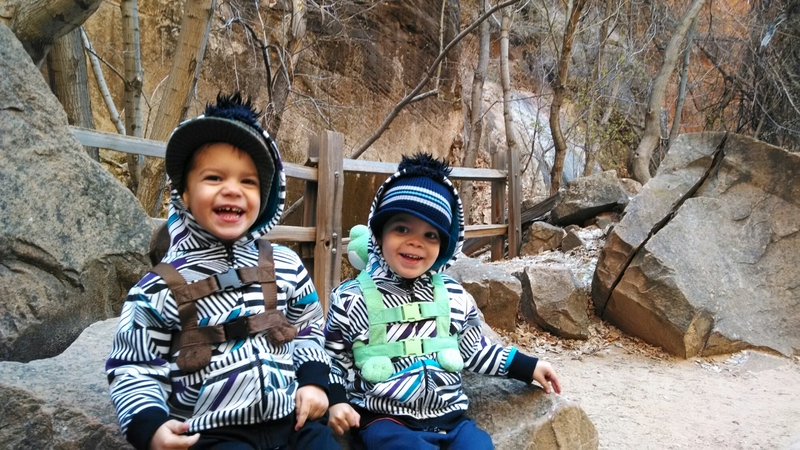 Ashton and Dylan (with froggy & monkey backpacks) on a hike in Zion National Park. Chillin on a rock in Zion. Driving a shopping cart car at Smith’s marketplace in Bountiful. Ashton feeding Dylan some rice at Mikado. Momma with the boys, floating in the hot tub at our hotel, in Park City, UT. Aviator Ashton and Dylan taking to the skies in Park City. 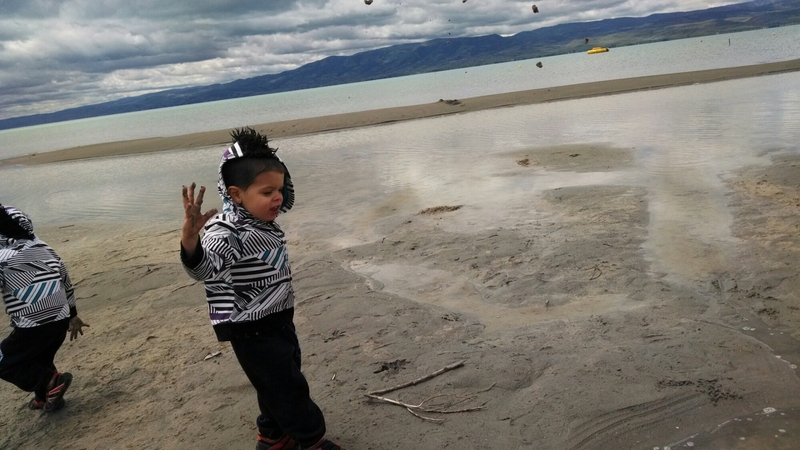 Playing at the sandy beach at Bear Lake, Idaho. Dylan in the grass at the South Davis Rec Center. I remember this photo distinctly because I was chasing Dylan all over the lawn trying to snap a photo, all while he was laughing joyfully and playing the “avoid the photo” game. Summer time pool fun, our back yard. Pineview lake sandy beaches, this past summer. Great times with Papa and Nana. 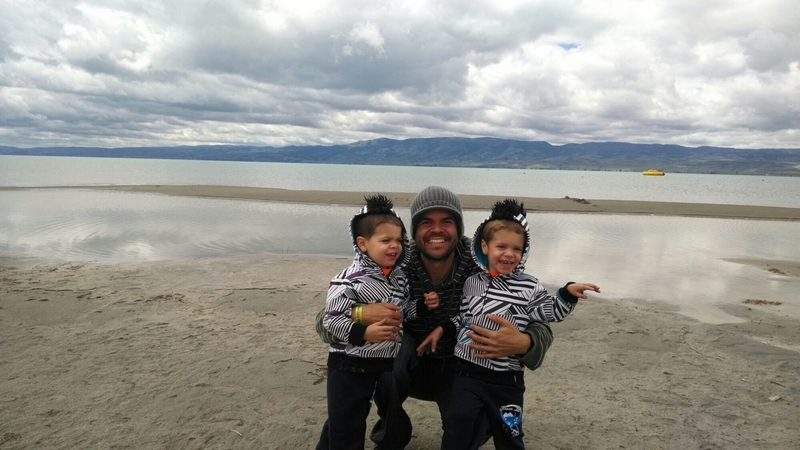 Wes, Ava, Eric, Jason group photo while standing in the Great Salt Lake (while also being attacked by disgusting, biting brine flies). Ashton & Dylan with cousin Ava. Water toys at Discovery Gateway. Play-doh apple tree activity at Discovery Gateway. 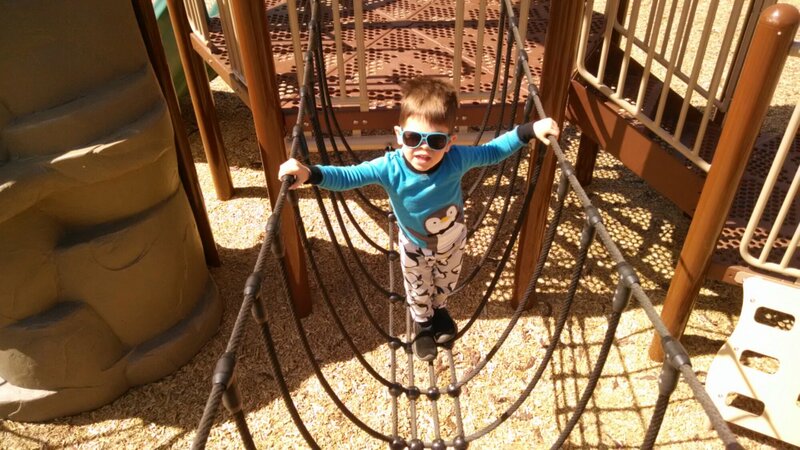 Ashton at the Rose park playground. The boys with their first candy canes, while dad shopped at Lowe’s. The play grocery store at Discovery Gateway. Ashton deep in concentration, throwing snowballs. 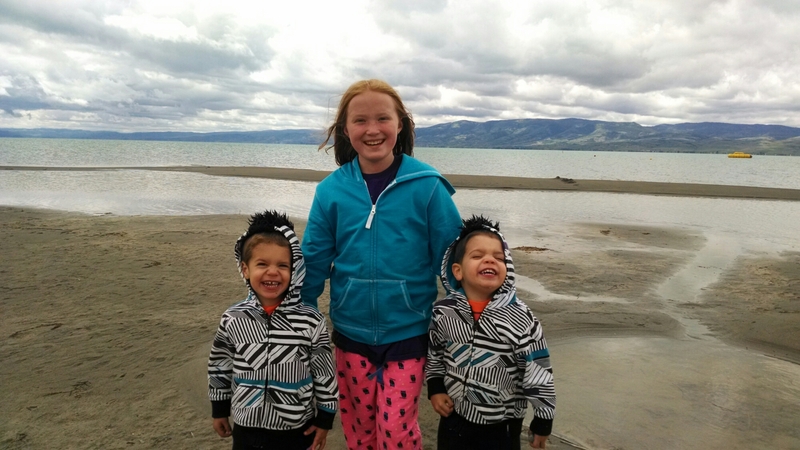 This past weekend we made the drive up north to visit Bear Lake. Sliced just about symmetrically by the Utah/Idaho border, the lake is nestled in the mountains, offering up sandy beaches, gorgeous views and unbelievably bright blue-green aqua water. The photo above does not accurately capture the brilliance, beauty and vibrant colors of the lake water. 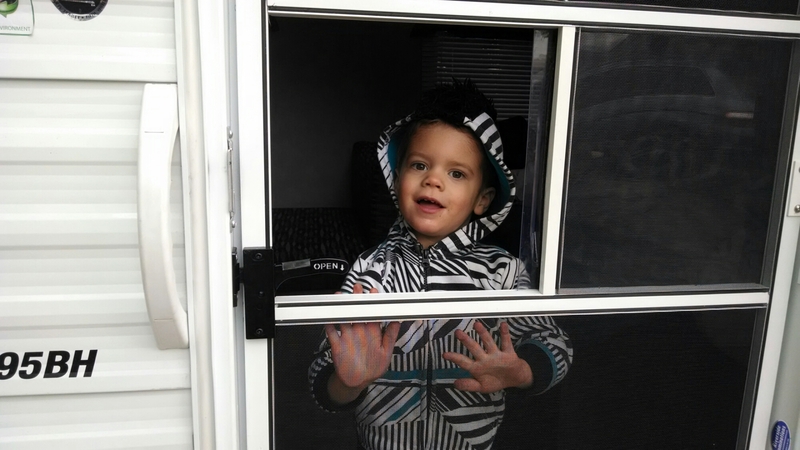 We stayed in a dinky, miniature cabin (and I use that term loosely), at the KOA camp grounds at Bear Lake. The place was wayyy too small for 2 adults and 2 toddlers. Sardine life FTL! Tera guesstimated it at about 200 square feet. Thankfully the KOA grounds do offer many family friendly amenities such as a jumping pillow, a playground, pools, etc. We got settled in on Friday and then hung out at the playground and pool whilst sipping on a few brewskis. The boys thoroughly enjoyed the pool while wearing their life jackets. The boys enjoyed floating, bobbing, spinning, swimming, splashing and playing with us. 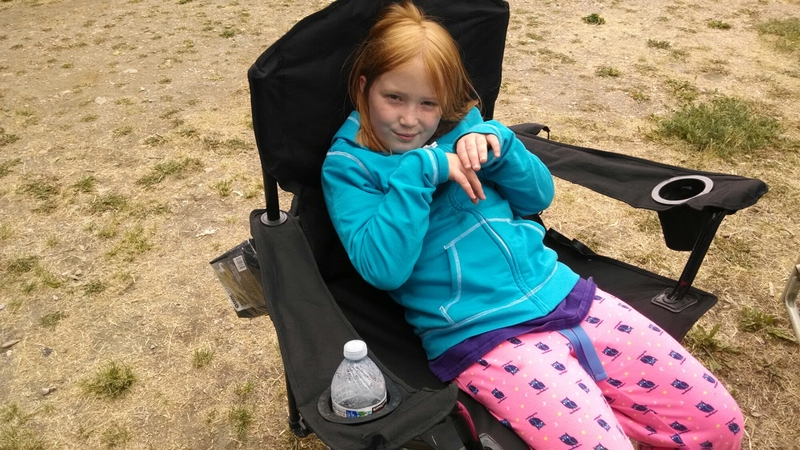 On our second day, we drove up to the North beach area to meet our friends who were RV’ing it up. 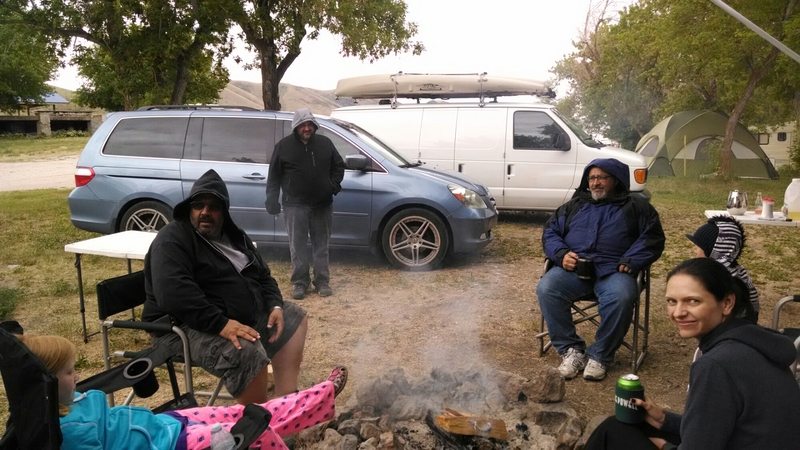 It was a cold, windy, drizzly day, but we still had a good time hanging with friends by the campfire, letting the boys play at the beach with Jozie and spending some time in the hot springs pool, directly adjacent to our friends’ camp site. After hanging at the camp for a bit, we were off to the beach for some play time! 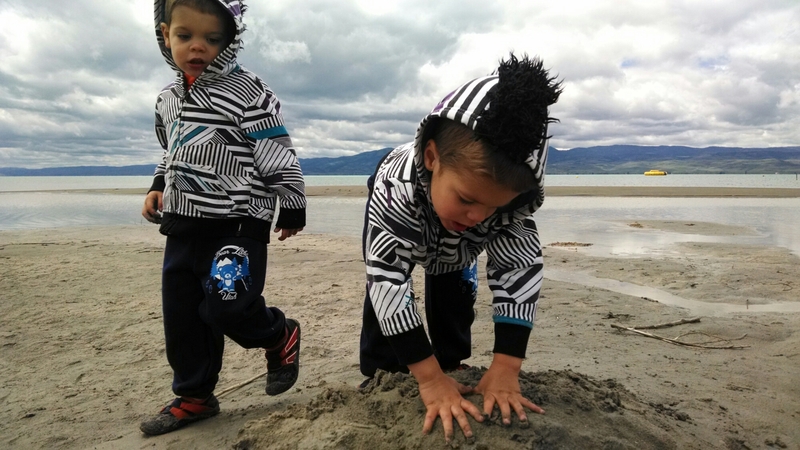 The boys found a sand castle and immediately stomped down the towers. We built a couple more towers, which were then promptly destroyed, naturally. 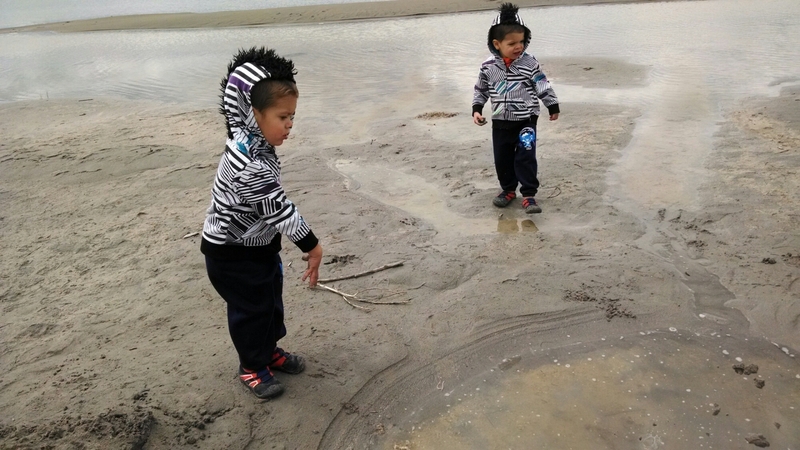 After that, wet sand balls were harvested and tossed into the puddles for a half hour of fun. 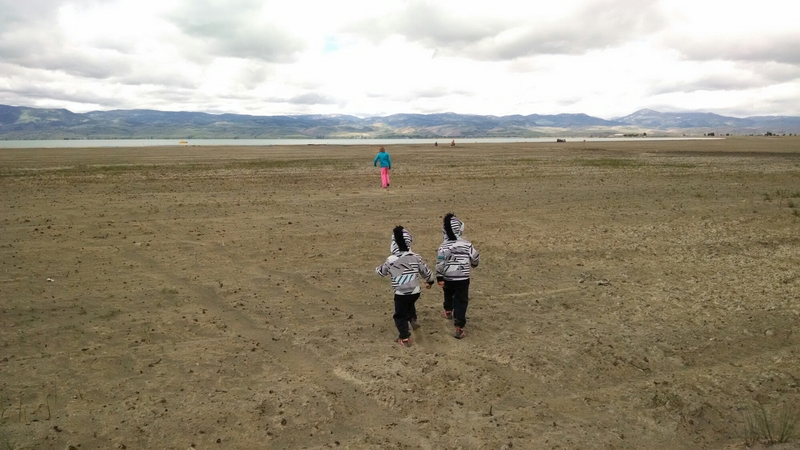 If you couldn’t tell, I was thoroughly impressed by the beauty of Bear lake and I would like to return when it’s warmer, and not stay at the KOA. Thank you to LaDawn, Dave and family for inviting us out! Happy Easter! 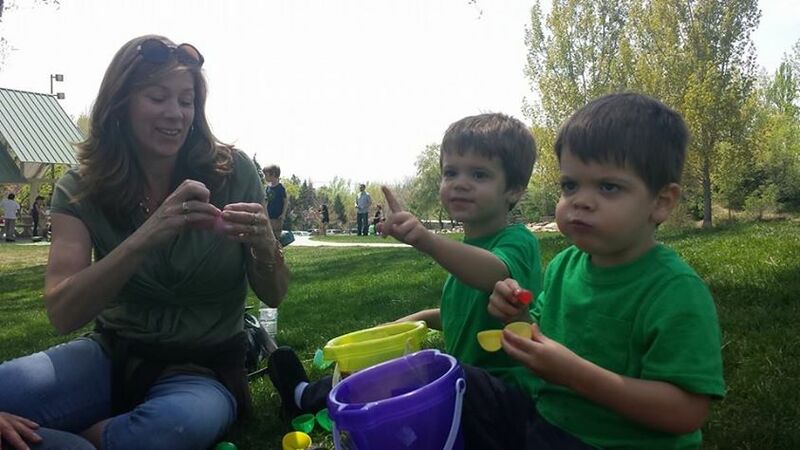 This year, we held a backyard Easter egg hunt for the boys mid-week and then on the weekend, we attended the “6th Annual Vegan Easter (no) Egg Hunt and vegan potluck!” organized by veganfamilies.org and sponsored by Cakewalk Baking Company. Huge thanks to Kelly Green, Cakewalk and all volunteers for putting on this amazing event! We captured a few videos of the festivities, which you can checkout below. 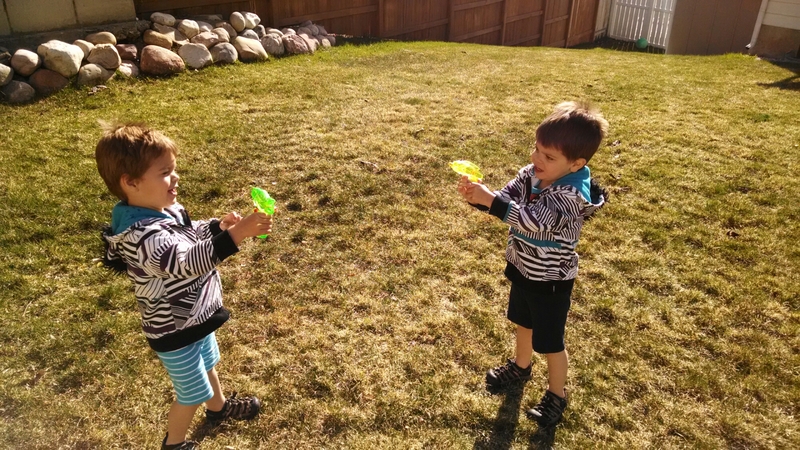 We also gave the boys a few squirt guns, and they had a great time running around the yard, shooting each other, squirting us and squealing with joy. 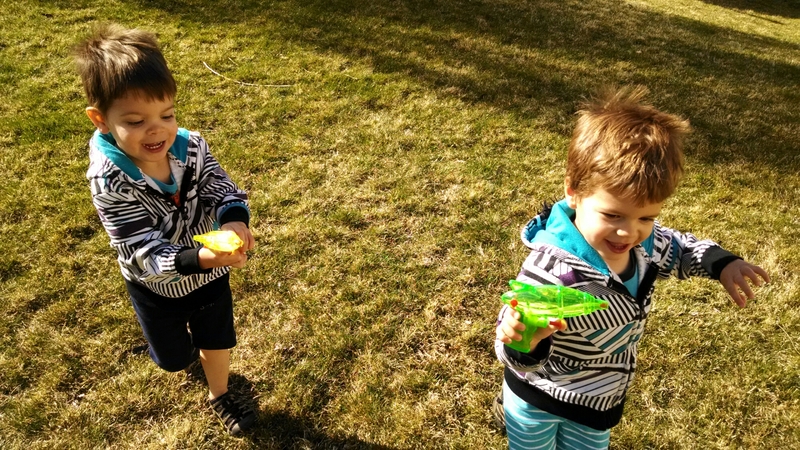 On Easter Sunday, Papa, Nana and cousin Brayden came over and we all had a good time running around outside, playing, shooting water guns and bouncing on the trampoline. Posted on April 21, 2014 April 21, 2014 Categories community, family, personalLeave a comment on Happy Easter 2014! 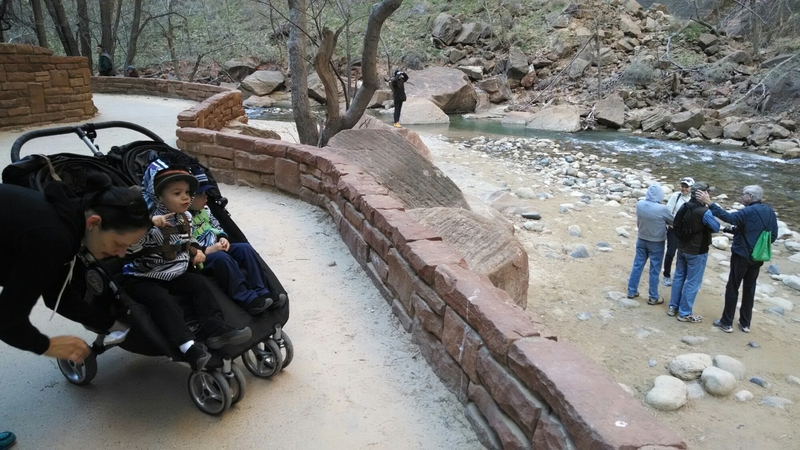 While in Springdale, we consulted with the locals and were advised that the Riverwalk trail inside Zion would be the most appropriate hike for toddlers. 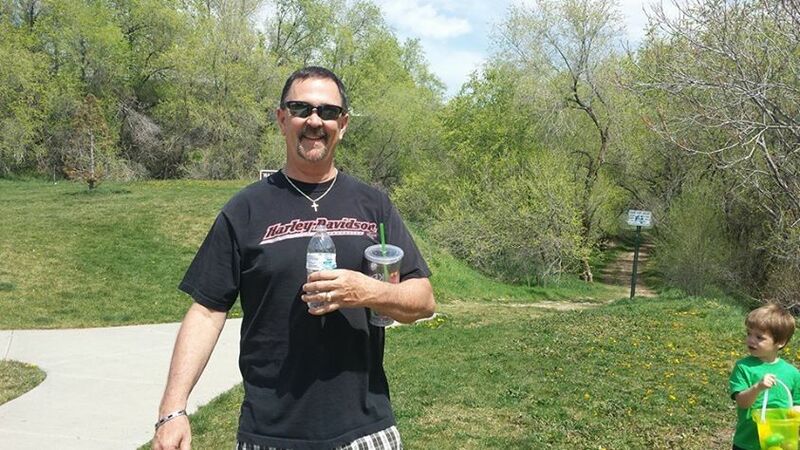 The 2 mile, round trip, paved trail, runs alongside a river within a canyon, with mellow ups and downs. We rolled the stroller along with us, in case the boys got tired, but it definitely wasn’t necessary. I’m sure the boys would have preferred to walk run the entire time, but since it was pretty cold at first, the stroller allowed us to bundle them up with a blanket. 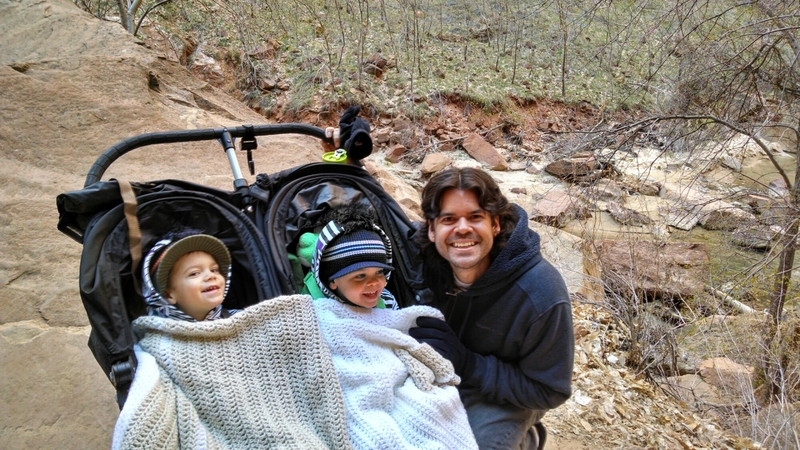 The hike was a very easy one, although it was a bit straining to push the fully loaded double stroller up a few of the hills on the way down the trail. It was a gorgeous stroll, with awe inspiring views of the looming canyon walls, with the serene sound of water flowing along beside us. At the end of the path, we took the stairs down to the river bed area, where the boys jumped around on the rocks and sand. There were tons of unique stone benches, rock seats and other spots to pause for a rest and a view along the trail. 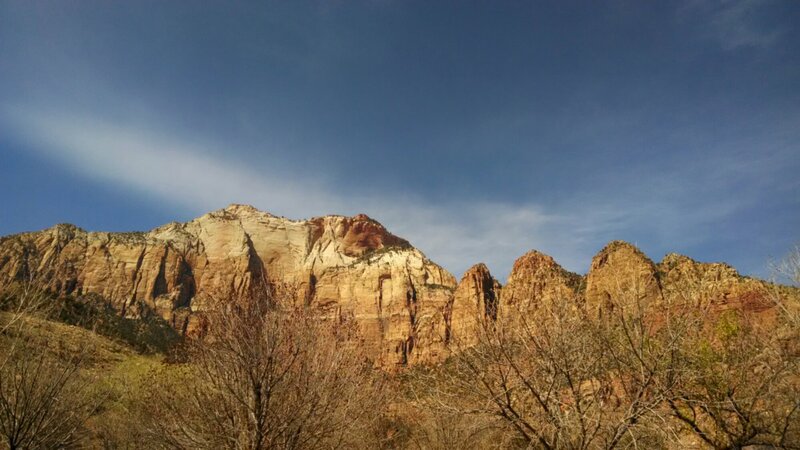 Zion was an utterly amazing natural wonder. I hope to get the chance to trek up some of the more advanced trails there in the future. 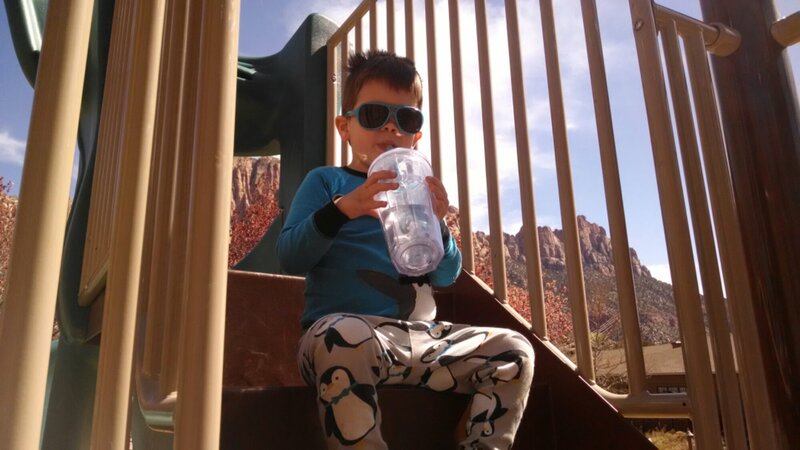 If you’re traveling with 2 toddlers, it’s mandatory to seek out a local playground. It’s a must! Thankfully Springdale has a quaint little park in the middle of town with breath taking views of the surrounding rock formations, stretching up to the sky. 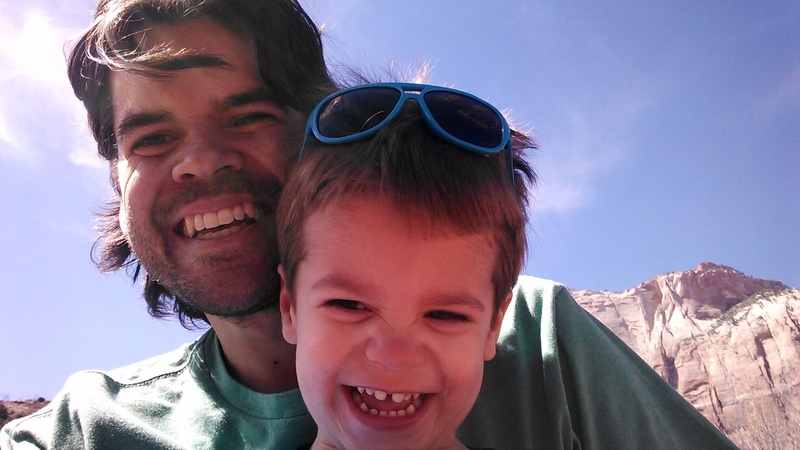 I snapped a few photos with the front facing cam on my Moto X, while trying to get the boys to laugh. 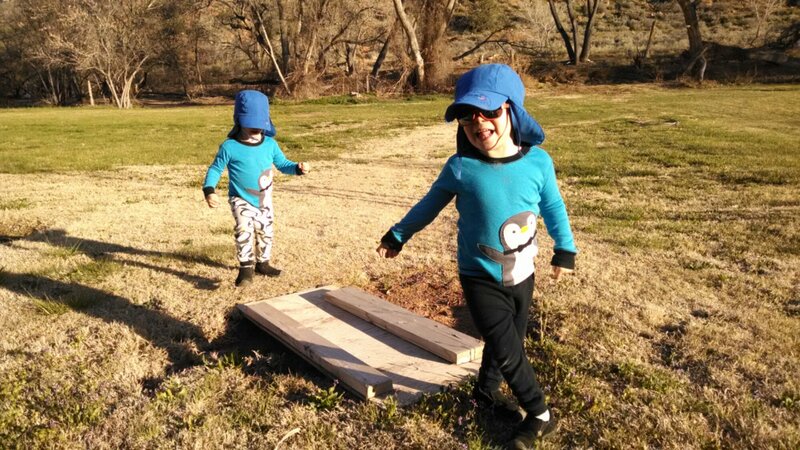 The playground was perfect for the boys. A few different slides, lots of swings, various obstacles and a rope bridge! The boys were fascinated with the rope bridge, as it was there first encounter with such an obstacle. Dylan crossed the bridge over and over (and over! ), taking the curved slide down on the other end. Ashton preferred the straight double slides and took rides down them most of the time. 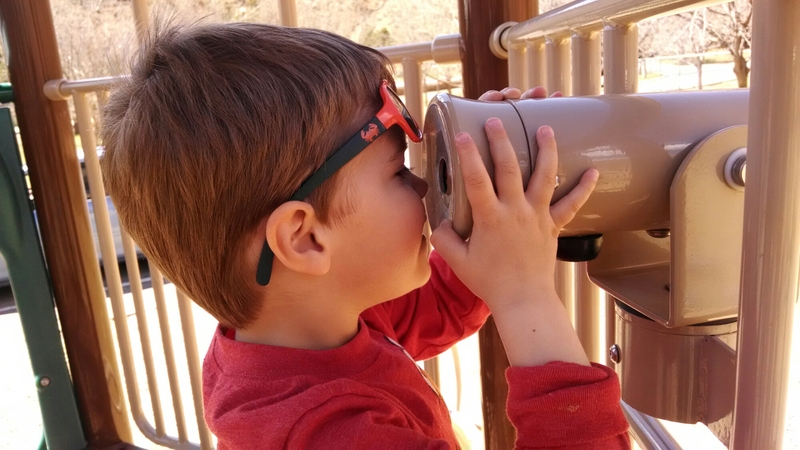 The playground also has a kiddie sized telescope. 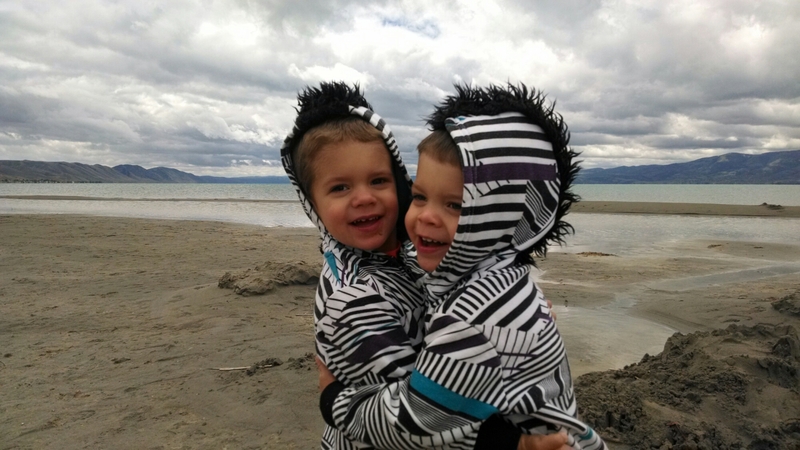 The boys took turns looking through the lens to view the mountains, but Ashton particularly took a liking to it. He just kept going back to peer through the scope again and again. While Dylan and I were walking around the park, we came upon a ladybug. I let it crawl onto my finger and Dylan stared at it with curiosity. 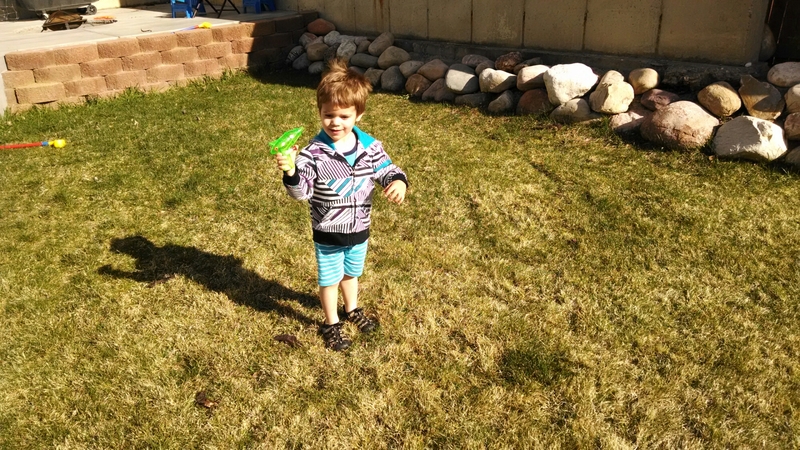 I asked him if he wanted it to crawl on his finger, he said yes, but he held up his shaking finger with trepidation. Once it crawled onto his index digit, he cracked the biggest smile across his face. I then had him hold his hand up, ready to snap the perfect photo. But alas, just as I was about to take the picture, the ladybug flew up into the air and away. 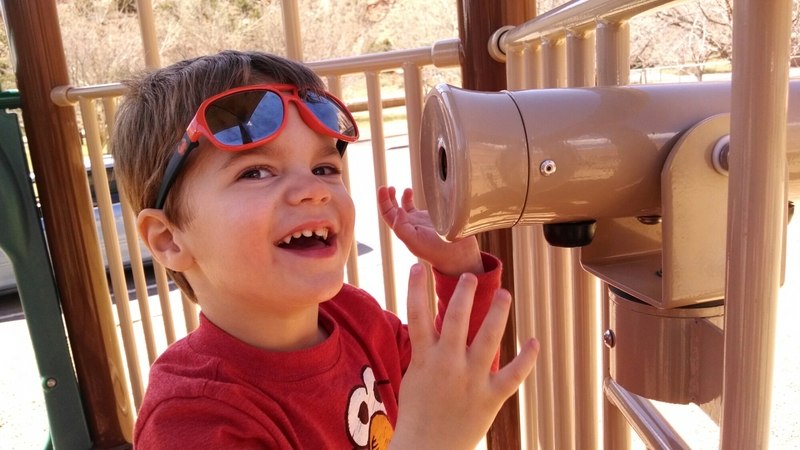 We had a great time there and Springdale town park certainly has the toddler stamp of approval! 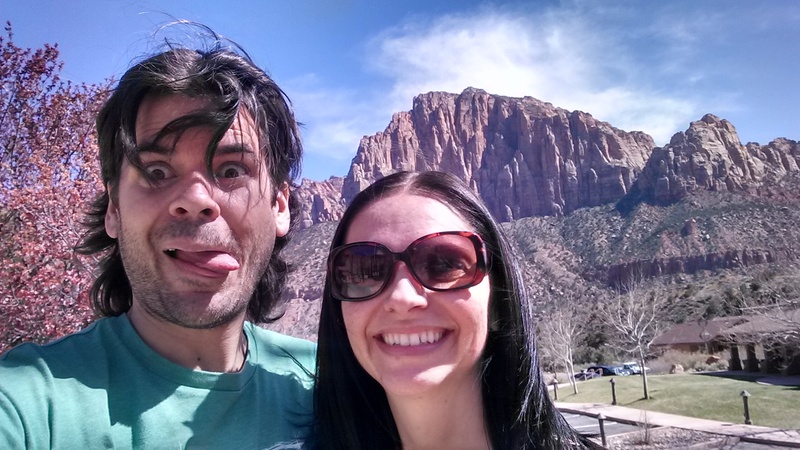 Another post is coming soon about our hike on the Riverwalk trail in Zion national park. ROAD TRIP! 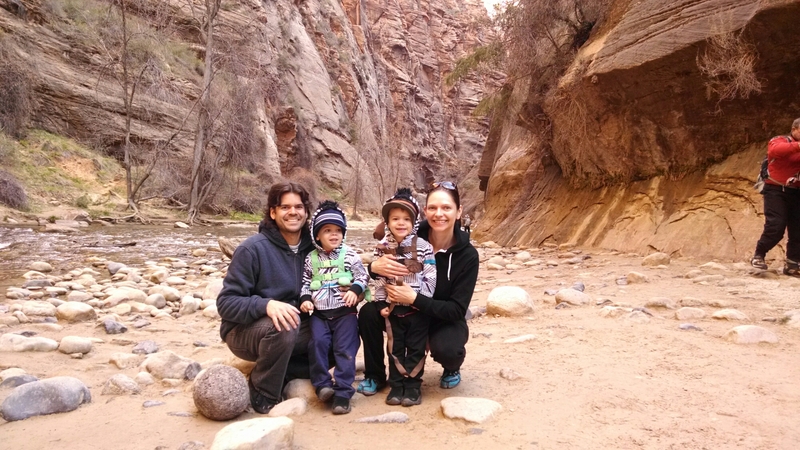 March 21-23 we partook on a much needed family getaway to Springdale and Zion National park, situated in the high desserts of southern Utah. 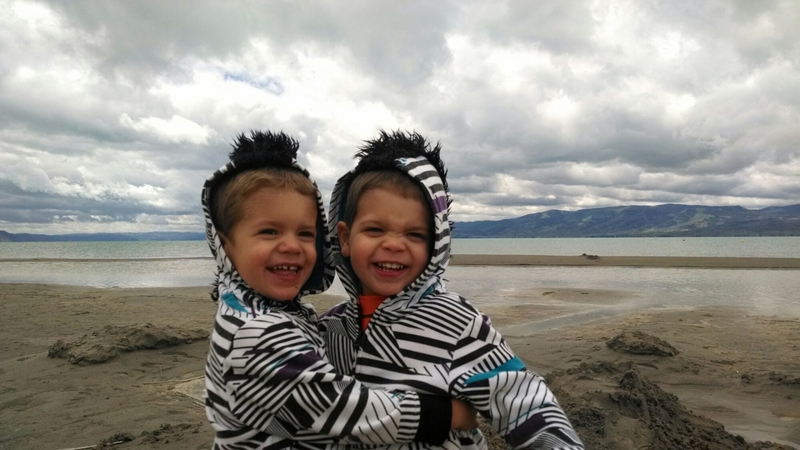 Our 2 two and a half year old boys behaved very well on the 4.5 hour drive each way, particularly considering that we forgot to bring toys (doh!). Lots of talking, singing, snacking on pretzel sticks (as well as other foods), and even a little DVD viewing ensued, with Thomas the Train and Baby Signing Time videos. We stayed at the Driftwood Lodge in Springdale for 2 nights, and despite my reservations about the pricey rate, it was the perfect accommodation for us. It turns out that the price of everything is inflated in the tiny tourist town of Springdale. Even so, it’s a fantastic place and I wouldn’t hesitate recommending it as a destination. Our room, the views and the lodge were idyllic. 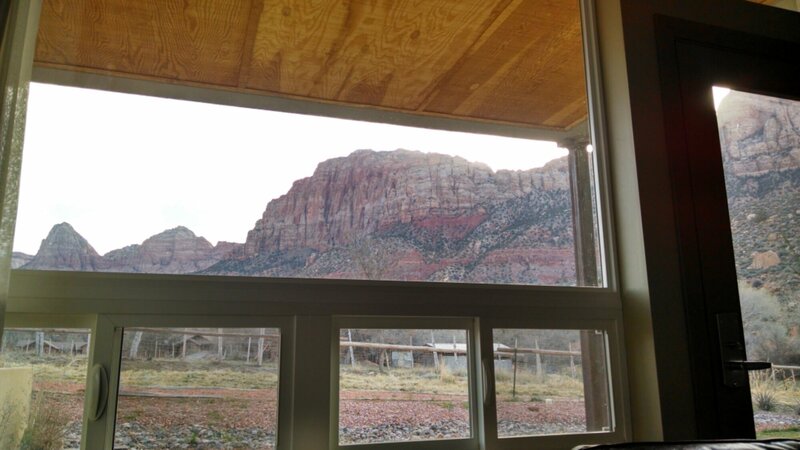 We stayed in a signature king room in the court of the patriarchs, the only rooms in the lodge that are new. 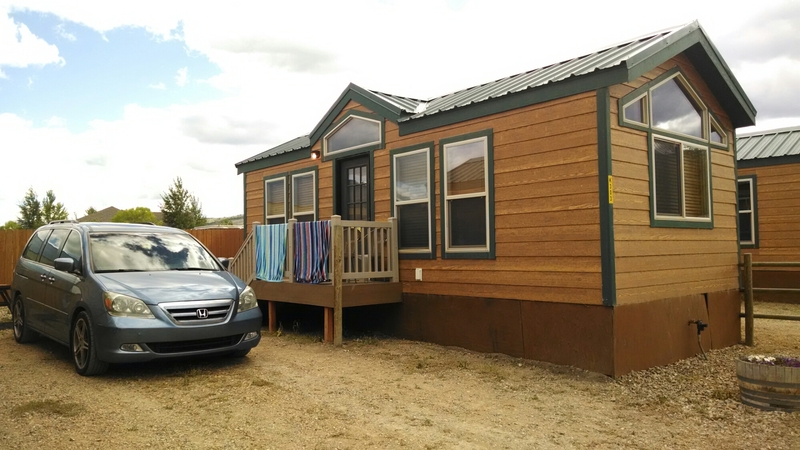 The lodge features a heated pool and hot tub, on site laundry, and other amenities. One of the best features for us was the large grassy area near the rear of the property, bordering a serene stream with sandy banks. This area was the perfect family haven. Tera and I relaxed to the calming sounds of flowing water, sipping adult beverages. Meanwhile, the boys ran wild in the field, all right on the premises of the lodge. 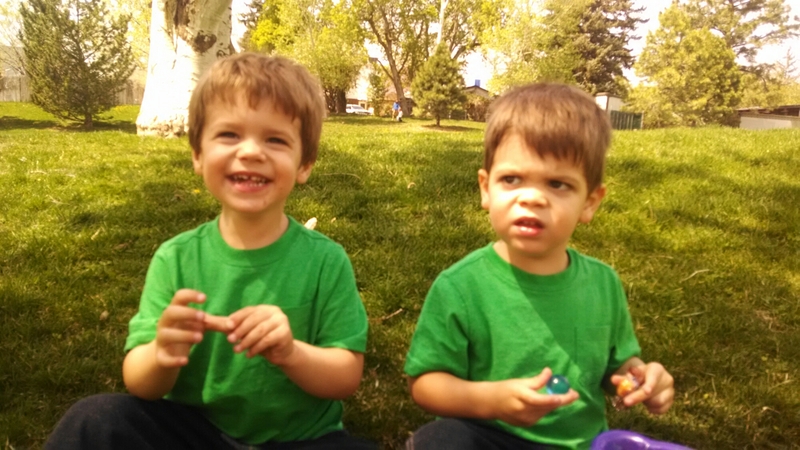 The boys had a blast running around in the grass, climbing on chairs, playing with branches, picking wild flowers and repeatedly crossing a makeshift bridge that was covering a hole in the ground. 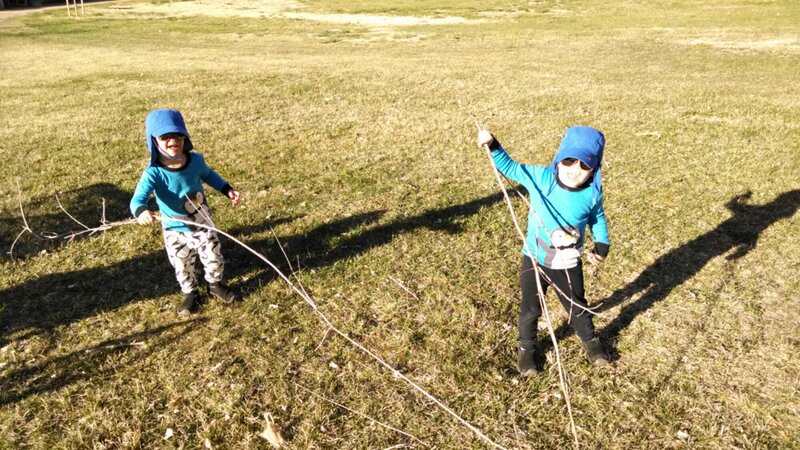 Playing with branches longer than they are tall. 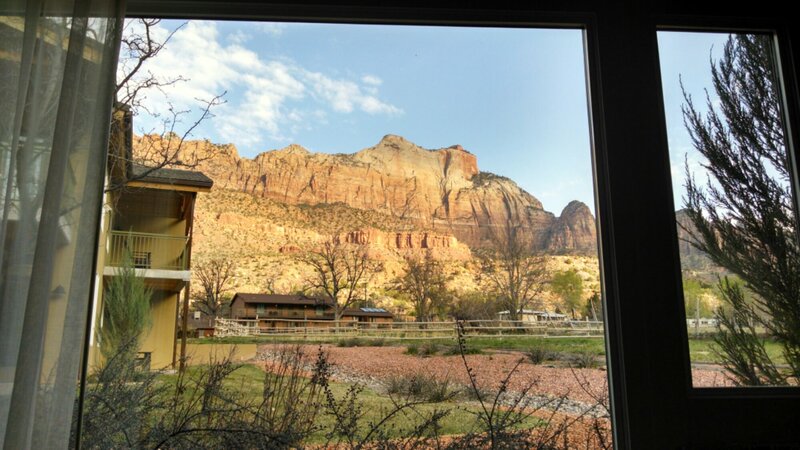 More posts and photos coming soon about the Springdale town park, the playground, our Riverwalk hike, and our scenic drive through Zion national park. Statigram invited me to create a video containing my top 2013 most “hearted” posts on Instagram. The result is below (best viewed in Firefox or Internet Exploder 11). It’s interesting to see that all of the most popular ‘grams were late 2013. I chalk this up to more and more people using Instagram (compared to the beginning of the year) and more and more friends following me on Instagram (compared to year begin). 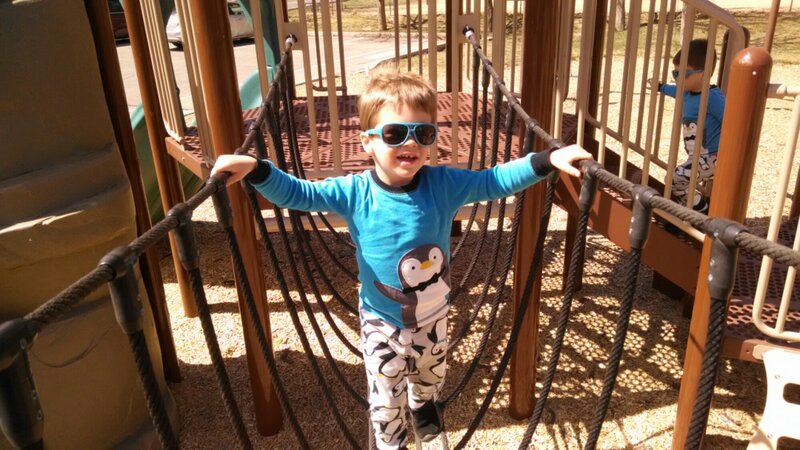 We picked up a couple of toddler seat swings at Lowe’s and hooked them up to our swingset. 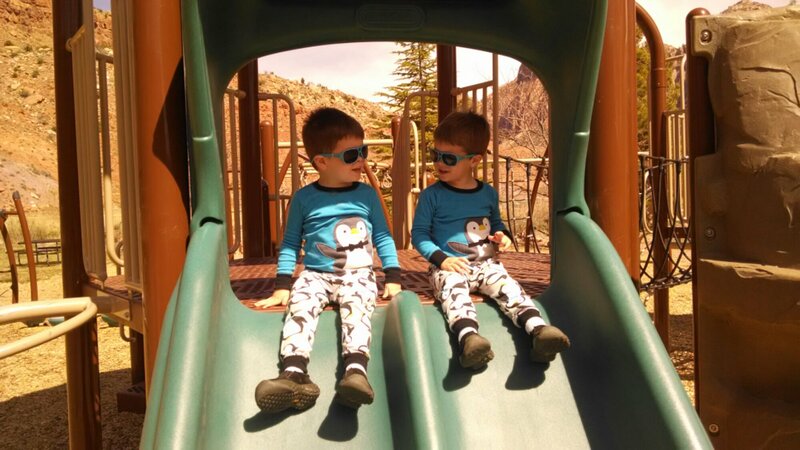 Below is a video of the boys’ first time on the swings! They loved it!